Beep" is a ball pond that is packed with fun for toddlers and preschoolers! Measures 6' x 14' when inflated. 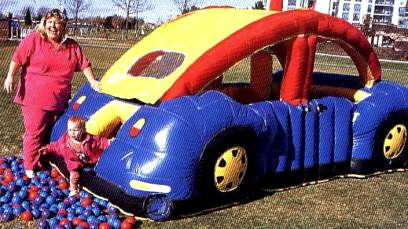 * Please call us for any questions on our beep the ball pond rentals in Pipersville PA, Hatfield PA, and Bucks & Montgomery Counties in Pennsylvania.